Characteristics - Called 'the people's choice' among all coonhound breeds, the energetic Treeing Walker is perfectly suited for the task for which it was bred - tracking and treeing wild raccoons in their natural haunts. The breed's competitive spirit makes it an ideal choice for competitive coonhound events where the breed excels. The Treeing Walker Coonhound is alert, intelligent, active, courteous, and courageous with extreme endurance and the desire to perform. Height - Slightly more at shoulders than at hips. Shoulders should measure: Males, 22 to 27 inches, Females, 20 to 25 inches. Balance is key with all of the parts coming together in proper balance to form the whole. Weight - Should be in proportion to dog's height. Working dogs are not to be penalized when shown, if slightly under weight. Skull - Should be medium length with the occipital bone prominent; cranium is to be broad and full. Fault-very flat narrow skull; having excess of bone; not in proportion to the body. Ears - Should be set moderately low and of medium length, reaching or nearly reaching to the tip of the nose; oval or round at the tip, hanging gracefully towards the muzzle. Fault - short ears set high on the head. Eyes - large, set well apart with soft hound-like expression, pleading and gentle; dark in color, brown or black. Fault - yellow or light eyes, protruding or small. Muzzle - Medium length and rather square; medium stop, neither Roman-nosed nor dish faced. Nostrils - large and black. Fault - any other color than black. Neck and Throat - clean with no excess of skin, neck of medium length, rising from the shoulders cleanly; strong but not loaded, smooth. Fault - short, thick neck carried in line with the shoulders; throatiness. Shoulder-blade sloping forward and downward at a 45 degree angle to the ground; presenting a laid back appearance, neither loaded nor heavy, providing freedom of movement and strength. Length of shoulder blade and upper arm to be equal. Chest and Ribs - Depth of chest is more important than width; descending to the approximate point of elbow. Ribs well sprung, never flat or slab-sided. Back and Loins - Strong, muscular back of moderate length; topline nearly level or sloping slightly from shoulder to rear. Faults - higher in the rear (hips) than at the withers, roached or sway-back. Tail - set moderately high, coming right off the topline, carried well up and saber-like. Curved gracefully up, tapered and moderately long without flag or excessive brush. Fault - having an excess of curve in tail; rat tail; excessive brush. Forelegs - Straight and parallel to each other, from elbow to pastern. Pastern, from the joint to the top of the foot is strong and distinct, slightly slanting but standing almost perpendicular to the ground. Faults - out at the elbow, crooked forelegs, weak pasterns, knuckling over. Feet - thick pads, well arched toes giving a 'cat foot' appearance, tight. No rear dewclaws. Front dewclaws may be removed. Fault-flat, splayed feet. Hind Legs - Muscular and powerful with great propelling leverage. Well muscled thighs of considerable length. Stifles well bent. Clean hocks. Legs viewed from the rear are parallel. Defined angulation denotes endurance and power. Smooth hair that is glossy and short, yet dense enough for protection while being a close and hard hound coat. Fault - too short or thin or too soft. Tri-colored is preferred, white, black and tan. White may be the predominant color with black marking and tan trim; or black may be the predominant color with white marking and tan Page 2 of 2 trim, such as a saddle back or blanket back. White with tan spots or white with black spots may be accepted. Fault-any other color combination will be penalized when shown. Gait is smooth and effortless, free and balanced, showing good reach in the front with powerful drive in the rear quarters, producing efficient movement, covering ground effortlessly. Note - Working dogs will not be penalized for scars or blemishes due to hunting injuries. Click Here to Learn about breeder background checks on Treeing Walker Coonhound breeders if you are looking for Treeing Walker Coonhound puppies for sale. Click Here to learn how ResearchBreeder.com can help you find healthy Treeing Walker Coonhound puppies for sale.Treeing Walker Coonhound puppies for sale. Click Here to order a Breeder or Kennel Background Check on Treeing Walker Coonhound Breeders that may have Treeing Walker Coonhound puppies for sale. Click here to find the national breed club for Treeing Walker Coonhound puppies for sale. 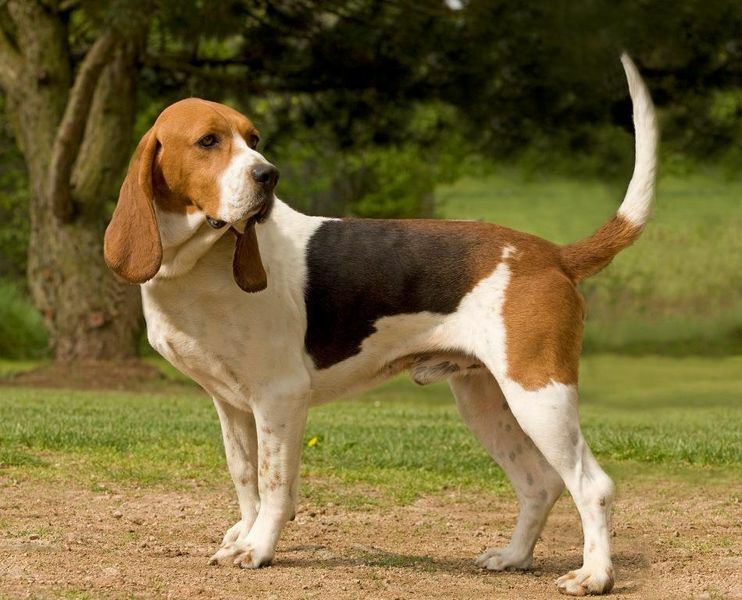 Click Here to purchase a list of approved ResearchBreeder.com Treeing Walker Coonhound Breeders who have Treeing Walker Coonhound puppies for sale.